This is what the 2015-16 season was all about when the Sabres battled their way to the NHL basement thus assuring themselves of an opportunity to draft a franchise player. Although Buffalo lost the NHL Draft Lottery to the Edmonton Oilers who drafted McDavid, the rules at the time had them drop only one spot in the draft where they picked Eichel. It was the last year we would see the lottery laid out like that. Eichel came to Buffalo and began wowing Sabreland with incredible bursts of speed and wicked accurate shots while helping the Sabres make a huge leap from the basement to respectability. After a 2015-16 season that saw him place second on the team in scoring, Eichel shot past everyone on the team last year with 57 points in 61 games. However, the Sabres took a step backwards last season finishing with less points than the prior one. Disconnects and discontent ruled the roost in Buffalo last season as oft-times the team looked to be in disarray. There were players that voiced their unhappiness while directing their ire at themselves, but Eichel chose a different approach at his season-ending press conference. “I think guys want to win,” a visibly unhappy Eichel told the gathered media at the time, “but there’s a difference between saying you want to win and actually wanting to win and putting the work in and dedicating your life to it. Although criticized by some at the time, it was rather refreshing for a player of his stature, even a young one like him, to come out and say that there were teammates who were there for reasons other than winning. This was the second consecutive season that he was on a non-playoff team and he clearly wasn't happy about it. Granted, had he not been injured in a freak on-ice accident the day before the regular season things might have been different, but what transpired on the ice that season did not sit well with him. That included then coach Dan Bylsma. "Inside sources have told me," continued Hamilton, "that Eichel has no desire to sign a contract extension this summer if Bylsma remains the coach"
The very next day both Bylsma and GM Tim Murray were fired. Immediate reaction after the firings centered around Eichel wielding power. Leo Roth of the Rochester Democrat and Chronicle ripped into both player and ownership. He labeled the young superstar as "brooding" while saying the role Eicheel played in the firings "will no doubt be overestimated — and underestimated — by the time the dust settles. "But wherever the truth lies, Eichel has blood on his hands." Roth's scathing piece was directed at Eichel and the Pegula Family who own both the Sabres and the NFL's Buffalo Bills. He wrote that Terry and Kim Pegula "acted very amateurish in their opinion-seeking from players they seem to moon over (read Eichel)" and that "the rebuild just took two steps back with the Pegulas’ latest impetuous act." 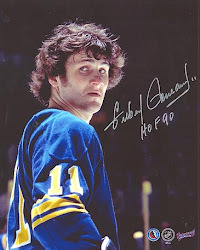 The dust did eventually settle and as the off season turned into training camp, some players took veiled shots at the previous regime upon their return to the rink in Buffalo. The general feeling was that they were very excited about the new direction and more than one either alluded to or came out and said they were looking forward to a "fresh start." Eichel upped his off-season workout and got a little bigger, a little stronger and may have gotten a bit faster. He also did something over the summer that endeared him to the Sabres faithful. "I've made it clear that I want to be a Sabre. I want to be in Buffalo when we start winning. I want to reward the city. It's been two great years. I don't want to go anywhere else," he told Barry Scanlon of the Boston-area Sentinel and Enterprise newspaper. That was on August 19 while he was working out near his hometown of North Chelmsford and he also reiterated some of the things he said earlier in the summer. "It is frustrating. You want to win. The NHL is a hard league and it's very competitive," he said. "For me the most frustrating part was the underachieving of the team. I thought we had a pretty good team. A bit of change might have been good for us. We're trying to build a positive culture." There are some who believe Eichel's contract extension had been all but finished and that all parties waited until the proper time to announce it, which may or may not be true. But there's no doubt that it will have a positive impact as it's not only a relief for all involved (as well as the fans,) but also a huge jolt for the team heading into the season which begins tomorrow night at KeyBank Center. This is Jack's team. The Sabres and their fans didn't spend two years in the tank to not make it so. He was drafted as a franchise center, he's looked every bit the part since and the Sabres didn't make an $80 million investment to have him play second-fiddle to anyone. Whether he wears the 'C' or not, Eichel is "the man" on the Buffalo Sabres. With that contract extension becoming an official designation that this is Jack's team comes tremendous responsibility. To reiterate, he really disliked Bylsma's coaching methods, he didn't like the way some of his teammates had been playing and he said that he wanted to reward the city. One of the greatest things about Eichel is his overt competitiveness and pure hatred of losing, it's something we really haven't seen in a player since Dominik Hasek, who also happened to be a superstar. Former Sabre Chris Drury had that hatred of losing and even said that some of his teammates didn't know what it took to win after being eliminated from the Eastern Conference Finals in 2007. But he wasn't a superstar like Hasek or Eichel. The Pegula's and GM Jason Botterill are, and have been, intent upon changing the culture of the Buffalo Sabres. Spending years at or near the bottom of the league can be dangerous as it takes a lot to change losing ways but Terry Pegula signed off on the scorched-earth rebuild that Buffalo went through. The "suffering" that the team and it's fan base went through from 2013-15 was supposed to be mostly over by now but last year dragged them right back to the bottom part of the league and it's going to take a Herculean effort to rid the franchise of the stench of the past four seasons. That's what's facing Eichel as the face of the franchise. There's no doubt he has the drive to succeed and the talent to get there but does he have the strength to carry this team and the mentality to do so effectively? Botterill has inherited some talent and brought in more over the summer and his new coach, Phil Housley, brought in a coaching philosophy that's right in Eichel's wheelhouse. 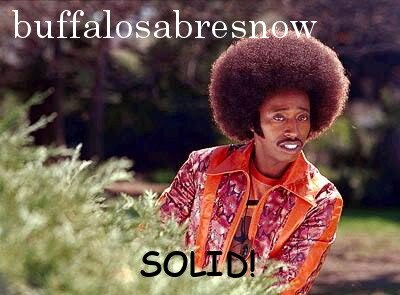 It's going to take some adjustments from everybody and it's imperative that the Sabres grow as a team. However, with the way things have transpired since the end of last season, the weight of the franchise is squarely on Eichel's shoulders. It's now all on you, kid.